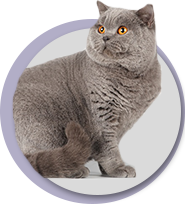 One of the best British Shorthair cat breeding-grounds in Lithuania “Roxera” is registered in “FIF’E” federation, in Latvian phelinologists’ association “Selena” and specializes in breeding of British Shorthair cats of blue color. In accordance to the ratings of annual FIF’E shows our breeding-ground is the second best among all the cat breeds and all breeding-grounds in Lithuania for the two consecutive years already! Our breeding-ground has been active for more than 9 years now. The first cat was acquired not by a happy accident. Before acquiring a new inhabitant I took a high interest in various breeds but after closer recognition of British Shorthair cats no place was left for doubts. 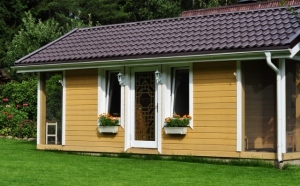 Their aristocratic character and spectacular appearance have something “bought me over”. Thus in 1999 the first inhabitant came into our breeding-ground – male cat of rare red spotted colour named Čipolinas Jovilga. Participation in shows with him was the icing on the cake. Strong, stout and spectacular male cat has won admiration of everyone including all judges. 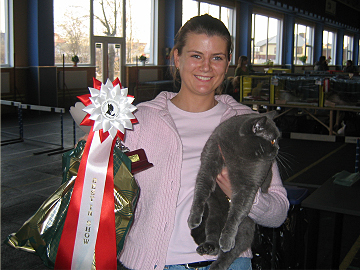 This cat was constantly earning the highest ratings and competed for the “Best in Show” title. His offspring have exceeded our best expectations – they were even stouter, stronger, with shorter fur and had even more spectacular round orange eyes. And colours like chocolate, chocolate-turtle, chocolate-spotted, blue-spotted, red-tiger and etc. have never been seen in Lithuania until then. These are the lovely animals delighting us with high ratings in international shows. Attention! 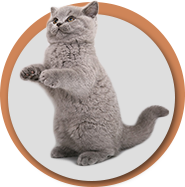 Our breeding-ground is involved in breeding of only purebred British Shorthair cats. 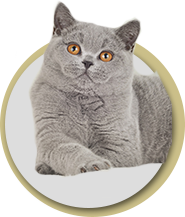 The Scottish Fold and the Scottish Prick-eared Cats are not used in breeding. Britų trumpaplaukiai komunikabilūs, draugiški ir švelnūs.Jie puikiai sutaria su visais šeimos nariais, o šeimininką ar šeimininkę tiesiog dievina:) Katė gali nepaliaudama sekioti paskui jus iš kambario į kambarį tol, kol jus atsisėsite ir leisite jai įsitaisyti šalia jūsų. Britai be galo kantrūs, todėl jie puikiai sutaria su visais gyvūnais, tame tarpe ir su šunimis. Vaikus jie taip pat labai myli, tačiau jei jūs sumanėte pirkti vaikui gyvą žaisliuką, brito pirkti nevertėtų. Katė iš prigimties yra nepriklausomo charakterio, todėl netgi meškiuko – žaisliuko išvaizdą turintis britukas, jau turi susiformavusį nepriklausomą charakterį ir nesileis per daug tampomas. 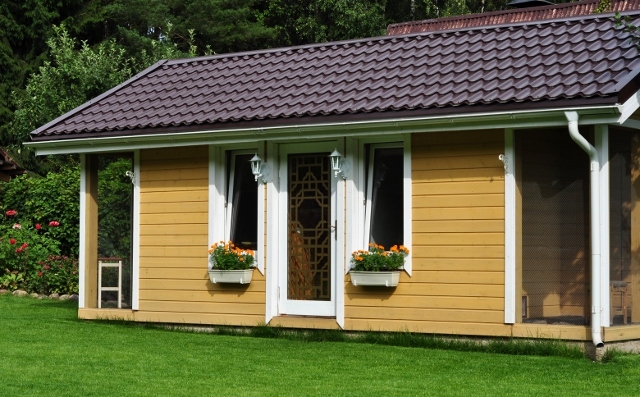 Kačiukas tiesiog slėpsis nuo žmonių tam, kad išvengti pernelyg didelio dėmesio.